After Breakfast Depart to Omkareshwar Full day Enjoy Omkareshwar is adorned with lofty hills, between which the river Narmada forms a serene pool. Above this pool runs a cantilever type bridge which further enhances the scenic beauty of this island. 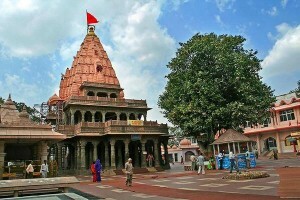 back to Indore In Eve Local s/s of Khajrana temple, Lal baag palace, Kanch Mandir, Overnight at Indore. After Breakfast check out form your hotel and transfer to airport to board flight for onward journey.